Homemade herbed butter is one of the easiest and most satisfying condiments to make. You can use most herbs (try rosemary, basil, parsley) and store it in the freezer or fridge until it’s ready to be used. 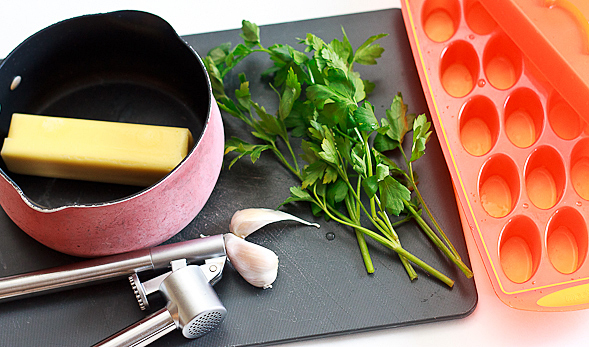 The ice cube shapes make it readily available in your cooking and there are endless possibilities to use your herb butter (read below). 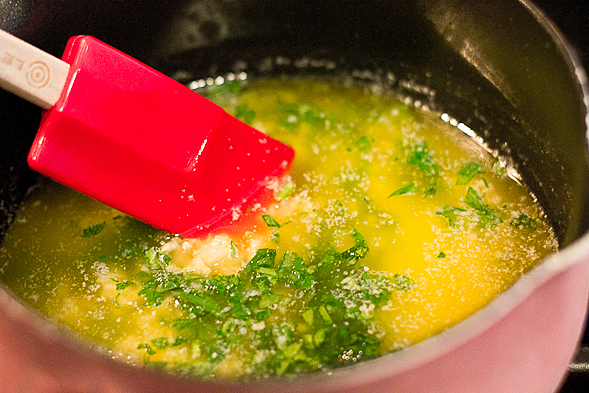 Melt butter in a small pan. In the meantime, assemble the parsley and garlic. Mix everything together in the pan for a few minutes so the flavors infuse. 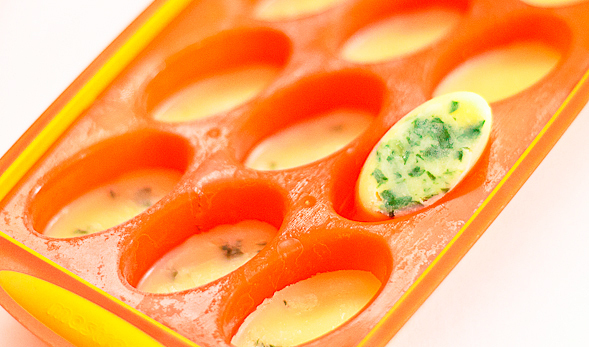 Pour the melted butter into ice cube molds. 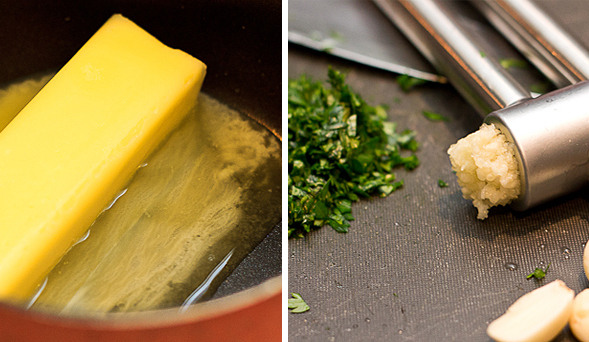 On low heat, melt a stick of butter into a small pan. In the meantime, finely chop the parsley and crush the garlic cloves. 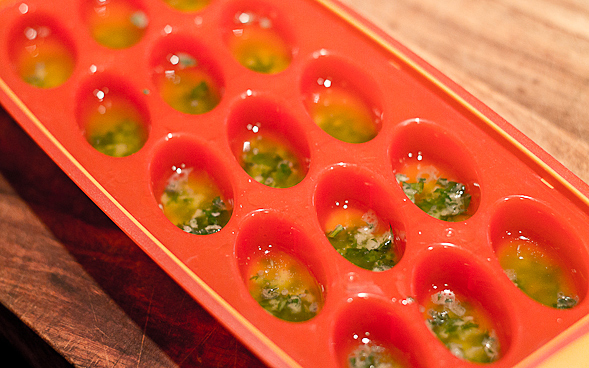 Mix into the melted butter for about 5 minutes and pour mixture into ice cube trays. 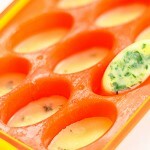 Store in the refrigerator for about a week or in the freezer for longer. Yes! It’s so easy and you can use them for so many different recipes.